The year is drawing to a close, and as I reflect on the books I read this year, and those I didn’t, I can’t help but look forward. For the first time since 2009, since before starting this blog, I am finally able to return to The Bahamas for the holidays. As one who has spent nearly as much time away from home as I have living at home, this time is incredibly sentimental. We alternate our holiday destinations between the United States and The Bahamas. My birthday is a week after Christmas, right after New Years. In the past, this has meant that the whole family is together for at least a week or two. This year, everyone will be down in the islands. While I write this, our first New England snow of the season comes down. The plows scrape and rumble by, frightening my cats. But to the heart of this entry: This year was also the first time I’ve attempted NaNoWriMo… and by attempted, I mean, I didn’t really write much… BUT, I do have an idea. A grand idea if you ask me — but one that requires quite a bit of research on my part. I realize that next semester should be my last in my graduate school career, and for next NaNoWriMo, I want to be poised and ready to hammer out my fifty thousand words. Though I feel it’s too early to discuss this idea, I will say that it involves some aspects of the Caribbean. There’s not a terrible amount of visible Caribbean literature out there. I say visible because I know how rich and vibrant story-telling is in the islands, but not as many tales are written down and then published. 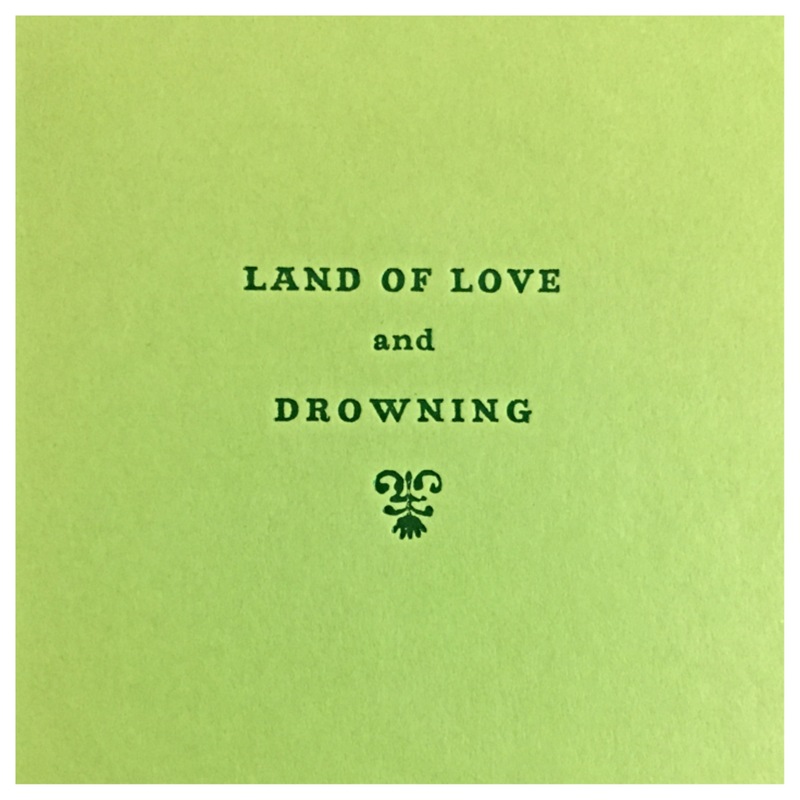 I also can’t stop thinking about Tiphanie Yanique’s book Land of Love and Drowning sitting on my shelf (scandalously adjacent to Herman Wouk!) so, tonight, I’ve picked it up. Yes, there are still three titles I haven’t read out of my 16 book gauntlet, and I still have reviews to write for about a half-dozen, but I’m still pleased that I finished most on the list! Anyone watching my other page will notice how much that list has grown… Trust me, I’m reading! Ah, look how beautiful under the dust jacket! My task for this next year is to read as much as I can find about my cultural heritage from The Bahamas, as well as the other topics involved with my NaNoWriMo idea. I’ll be starting with the titles I already own, such as Tiphanie’s book, but also Paradise Overdose, by Brian Antoni, re-reading titles by Patricia Glinton-Meicholas, whatever I happen to find at home in my old room, and many more Caribbean authors. I’m taking International and Comparative Librarianship in my final semester of grad school, so ideally, I’ll be making some contacts (in the islands) for a class-related project. (You see how I worked that out, right?) 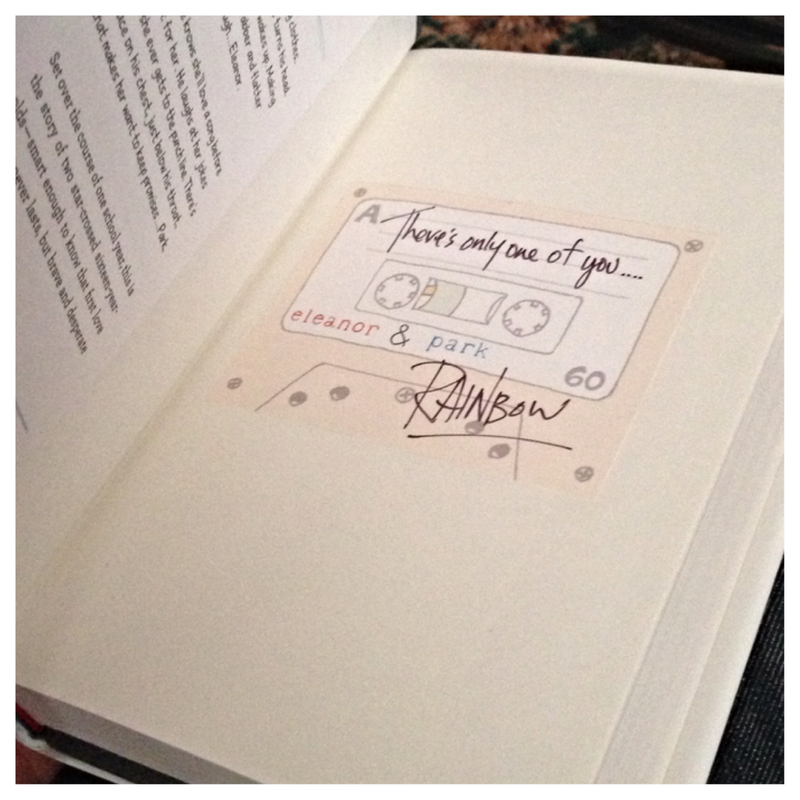 We’ll see if I can skate around without purchasing any books… But I’m a sucker for a signed copy! I’d also like to revisit some titles from my childhood studies, such at The Cay by Theodore Taylor, and The Wooing of Beppo Tate by C. Everard Palmer. I can’t believe I actually remembered those to tell you the truth. Despite realizing that many… most… of these will not have audiobook versions, I am looking forward to reading physical copies. If nothing else, I hope these books help me feel a bit warmer during the winter. Can I talk about this yet? I think so? Yes! To those in the blogosphere that may not follow me on Facebook or Twitter and may have missed my ecstatic postings of jubilation, I was chosen out of many-many-many candidates as the new Young Adult Services Coordinator at The Jones Library. It was quite a process, but I got the job. I’m simply over the moon with excitement, and at the end of my 2nd week, I feel great. Everywhere I go in the library, I meet people who say “Oh, YOU’RE the new YA person!” and they congratulate and my face flushes while I thank them and wave off the compliment… but it is so invigorating to feel so accepted and appreciated in this new place. It’s so refreshing to walk in to that building, and I couldn’t be more honored to be selected for such an important position. Don’t get me wrong, after four years of employment at my previous retail job, I was taken care of, and I really do respect my old coworkers…I would not trade that time or experience for anything. I hope people out there realize how important customer service really is, and understand that it’s NOT difficult to be nice and smile, even when you’re having a bad day. Lashing out and being a DB doesn’t gain any respect or make you friends. So please… everyone… be nice to everyone else! (At least pleasant!) Okay – end of lecture! Next step: graduation! With only four courses left, my MLS degree is nearly complete. Soon I can officially call myself a Librarian – with a capital L.
My loving boyfriend (who is not a book lover at all and tends to read exclusively postings on “The Truth About Cars” website) won an ARC of The Young World from our awesome (not-so-local) bookstore The Odyssey while attending a YA Author Panel. I’m telling you now, this is one of those books you either love or hate…and based on the very teenaged plot and constant references to Google, 2012 top charts songs, Facebook, and partying like it’s the end of the world all meant dreams of my boyfriend picking up this book were zero. The book is set in post-apocalyptic New York City, where a strange sickness has killed all children and adults, leaving behind only teenagers. The two main characters Jefferson and Donna are part of one of many heavily armed tribes in New York. When Jefferson becomes their tribe’s leader he, Donna, and a misfit gang set out, traveling through lands of other tribes where they are constantly in danger to to try and save humanity and cure the sickness. The book has a lot of action, a little bit of romance, and some things that are just down right strange, all in a way that plays out like a movie script, which is great because the film rights were picked up by Warner Brothers already! I have to say my love of all things YA and my nearly embarrassing appreciation for pop culture means I’m definitely curious. I don’t think its really a “timeless” book because of the many pop culture references, but in the present it will definitely make some hype once teen readers find it on the shelves of their local libraries and bookstores. Keeping in mind the cliffhanger ending and the adorable potential love story between Jefferson and Donna, they’ll soon be clambering for the sequels too as it is set to be a trilogy. The book is to be released on July 29th, so check it out! My name is Alyssa Lacross. I’m from Connecticut. I wear many hats, including a children’s and teen librarian hat, at a few libraries in CT and MA while obtaining my Master’s in Library Science with a concentration in School Libraries from Simmons College. I love to read (but only children’s and YA books), binge watch Netflix, listen to the radio (but only in the car) and run (but badly). That’s the boyfriend in the picture with me, since this post came from him winning the book! I want to start out by saying that I really wanted to love this book. But…I’ll preface that set of ellipses by saying that Catton’s novel is an achievement regardless of my overall conclusions. Her dedication to her content and the quality of her research is immediately apparent. There wasn’t a single moment when I felt anything was anachronistic to the time period or setting. The integration of historical details was spot-on: never did it feel like information was being given simply for the sake of reminding the reader that this was a historical piece. That being said, the novel was a tough read. Granted, an 832-page novel is going to fluctuate in pace, but like the book itself, the prose started to feel both heavy and cumbersome. By about page 700, the main mysteries had been solved and yet 132 pages remained. I remember getting to that point and thinking “What next?” Unfortunately, those 132 pages did a disservice to the (sometimes brilliant) prose in the first 700 pages. I found myself reading right to the end simply because I wanted to say that I’d finished the book. Within these pages, Catton goes into greater detail about the past experiences of the central characters, and though the content is interesting, it just didn’t contribute to the plot. It was as if Catton felt the need to over-explain to a reader who couldn’t quite figure things out. I’m not sure if the inclusion of these “summaries” was a decision made in an effort to follow the style Catton was attempting to replicate, or if Catton lacked confidence in her reader. Either way, the over-explaining didn’t add anything critical. The novel could have ended 700 pages in and I would have been satisfied. Another major issue with The Luminaries is something I’d also like to briefly applaud. Catton creates an absolutely massive cast of characters. She includes a “Character Chart” at the very beginning of the novel which was helpful because it was often difficult to keep track of each character and what role they played. Similarly, some of the male characters were indistinguishable in passages of dialogue. That being said, Anna Wetherall, Emery Staines, Lydia Wells, Francis Carver, and Crosbie Wells were compelling characters. Their stories formed the crux of the plot. However, much of the novel was told from perspectives other than these aforementioned characters. The novel begins with a long-winded section from Walter Moody—a compelling character himself who unfortunately doesn’t play much of a role later on in the book. Other characters including Te Rau Tauwhare, Alistair Lauderback, Quee Long, and George Shephard have plotlines intertwined with the central characters, but their purpose gets slightly muddled as the novel progresses. I think this novel would have been successful with a cast of characters half as long. Other elements at work in The Luminaries are the zodiac signs and star charts throughout the novel. Each character is assigned a sign and that sign is used to ascribe character traits. The zodiac signs are also used to link characters and their plot lines. But…it didn’t work for me. I don’t have any particular knowledge of how zodiac signs or star charts work (and I don’t know that the average reader does either), but it didn’t add to the plot. The star charts themselves were visually appealing, but I began to skip them as I progressed through the novel. 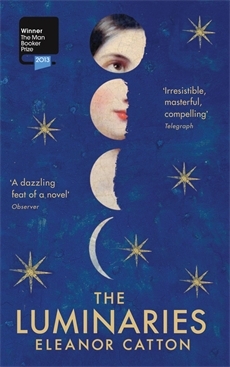 While The Luminaries begins as a murder mystery, it ultimately becomes a love story. The last portion of the novel explains the love between Anna Wetherall and Emery Staines, both of whom are new in Hokitika and new to their respective trades (whoring and mining). But I didn’t find their love story particularly compelling. As the story unfolds, we learn that Anna has some kind of psychic connection to Staines (Lydia Wells says, “You may have an astral soul-mate, whose path through life perfectly mirrors your own” (716)), and is able to convincingly forge his signature despite the fact that she doesn’t know how to read or write. I remain unconvinced. The love story almost felt like an after thought, and, more importantly, it downplayed the importance of the murder mystery element (which was much more interesting). Overall, I thought The Luminaries was commendable merely due to the amount of research that went into the development of the characters, the plot, and the setting. I was completely immersed in 1865-6 New Zealand, fascinated as the frontier town grew throughout the course of the novel. That being said, the prose became difficult to read, too much time was spent explaining things that didn’t need to be explained, and characters I connected to vanished before the conclusion of the novel. Miriam Huxley was born and raised in the wilds of British Columbia, but currently resides in Edinburgh, where she is completing a Master’s in Creative Writing. She also has an expensive piece of paper that says she has a BA in English, History, and Honours in Creative Writing. When she’s not writing witty prose, Miriam enjoys reading and critiquing books, experimental cooking, walking and running slowly, yoga, talking through movies, and listening to music of most genres (the good ones). You can find Miriam at miriamhuxley.blogspot.co.uk and Instagram @miriamhuxley. And the award goes to…! The 2014 ALA Awards were recently announced and I just had to gush a bit. Thanks to my awesome local bookstore, The Odyssey, in South Hadley, I’ve had the pleasure of meeting some of the award winners when they started on their respective tours some months ago. First, I want to congratulate all of the nominees and other winners — It is no small feat to be recognized for your work! But this entry is really about those few authors I have a particular fondness for and that I think deserve some extra special mentioning. As some may remember, this was one of my books of choice for my Young Adult Literature class this past semester. In fact, this book was read by more people in my class than any others — and for such a book to get such a buzz going, I think it is definitely one to take note of. Eleanor & Park received a Michael L. Printz Award Honoree, as well as the Odyssey Award for outstanding audiobooks for young adults (which I can attest to! It was wonderful!). Next up: Tim Federle. I actually met Tim at an event for the launch of his book Tequila Mockingbird, but then learned of his book Better Nate Than Ever. This book (which is being followed by Five, Six, Seven, Nate!) is waiting for me on my Kindle (though, I’ve secretly read a bit of it already… I haven’t “officially started” yet). Tim is hilarious, not to mention talented. I never thought I would find myself so excited to read a book aimed at pre-teens, yet it sends a powerful message and is wonderfully written. Better Nate Than Ever is the recipient of the Stonewall Book Award Honor for outstanding LGBTQ titles. Speaking of the Stonewall Book Award, there are two more titles that I want to point out! 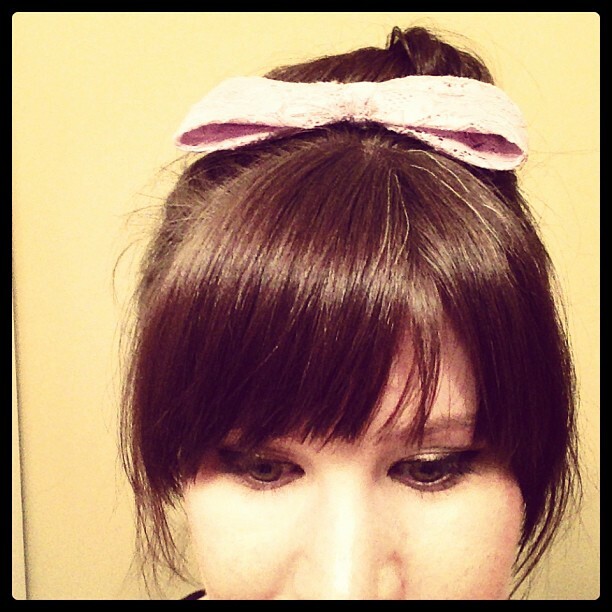 Beautiful Music for Ugly Children by Kristin Cronn-Mills and Fat Angie by e.E. Charlton-Trujillo were both winners in this category. Like Rainbow Rowell, I have not met Kristin Cronn-Mills, but Beautiful Music for Ugly Children was one of the required books for my class last semester and I think everyone was so pleasantly surprised by it! Writing a trans character is not only brave, but can be difficult to grant a strong voice. Kristin brought such life and truth to her cast in this book that I couldn’t help but feel connected. A win well deserved! I’ve spoken about how brave, true and powerful these books are, but one that shines through has to be Fat Angie with a big purple heart. e.E. came to The Odyssey on her At Risk Summer Tour and I was lucky enough to have a chat with her after her reading. Instantly I felt connected — and she must have too, because she asked that I tell her to write to her once I finish reading the book to let her know what I thought… As in to her personal email account! That doesn’t happen every day! Little-e-Big-E wrote this book with such honesty and heart that I felt truly inspired. I am so incredibly pleased to hear that Fat Angie also won the Stonewall book Award. Last, but certainly not least, I want to congratulate Holly Black for winning a Newbery Honor for Doll Bones. I met Holly for the launch of The Coldest Girl in Coldtown at The Odyssey and I was surprised to discover that she almost became a librarian! Though Doll Bones is another book I have yet to read, it goes without saying that Holly deserves the recognition for her marvelous work. Congratulations, again, to all of the nominees and award winners! Here’s the thing: In order to stay relevant, one must stay current. Which means more than writing a blog on a regular basis for my own self-indulgent reasons. It really means staying ahead of the game. So how does one maintain a steady stride with the rest? ARC stands for Advanced Reader (or Review) Copy, which is a basically an early release of a book used as a promotional sales tool. These are typically distributed to booksellers, libraries and journalists (and bloggers) to review prior to the book’s release to help generate buzz and (ideally) positive feedback. These books are not for resale and therefore must be requested, typically from the publishers themselves. I’ve been given the opportunity to obtain some ARCs from a local bookseller and I’m taking a firm grasp of this fresh bounty. Up until now, I’ve written here on a monthly basis, but I find myself swiftly moving my way through my list of books from my own personal library. It’s time to take the next step, so I propose to read and review ARCs to post here along with my own entries. The nature of the ARC will require that I keep to a deadline. It’s my hope to have at least bimonthly posts which will keep me writing on a frequent and more regular schedule. Once I get the hang of things, perhaps I’ll reach out to a publisher directly! Stay tuned, readers! This shall be an interesting year! For the class I’m taking this semester, I’m required to read some 35 books. Thanks to the library, Overdrive, and Audible, I’ve finished most of them in record time. In between my borrows and holds, I’ve snuck in a few titles from my own list, slowly marking them off too, but I feel as though I’ve hardly made a dent. In fact, after crossing off almost a dozen titles, I uncovered several books that I had yet to catalog, and all my feelings of accomplishment deflated. Then I realized just how many titles from my class I’ve completed. Of the 35, I’ve finished 26 completely with two more titles in progress. Though I can’t claim ownership over most of these titles, I also can’t help but feel as though they should be accounted for in some way. Once the class wraps and the semester is over, I plan on going through many of the titles… ones I liked and ones I didn’t particularly care for. After reading so many, I have lots to say! 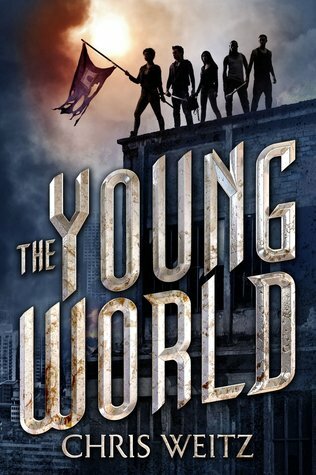 Thanks to this class, I have a much better sense of what really constitutes a young adult book… And it’s more than just strong-female-characters-in-a-post-apocalyptic-dystopian-world-trilogy. As for my own personal collection… I continue to plod along. I feel discouraged at times when I look at the three bookshelves bulging with books. I’m very tempted to go through and weed titles out — shocking! — but I’m also having a difficult time choosing which I would part with… at least in any substantial quantities. I could probably come up with a dozen or so, but that number seems so inconsequential. Each time to try to subtract a title, I justify keeping it, now for the sake of my librarian degree. “Oh, I may need that title for a reference in class one day!” Spring at the latest. That’s when the weeding will happen. If not before… It depends on how awful the winter is. In other news… I received Veronica Roth’s Allegiant a day before the release date! This never happens to me — getting a pre-ordered item before it hits the streets. I always hear about it happening with books and video games, and I’m always jealous…Except I can’t quite enjoy it this time because I haven’t yet read Insurgent! Ugh! At least I won’t have to interrupt the flow once I start reading them. Now that I mention it, perhaps I should have another Gauntlet… Look forward to a throw-down in the next entry!